The U.S. is starting down the path of a global trade war. It makes little sense to most economists, but economics might be the wrong lens through which to see the trade barriers U.S. President Donald Trump is building. If one word could sum up how many Canadians feel about the Trump-shaped piano dangling over the country's economy, it would likely be "disbelief." 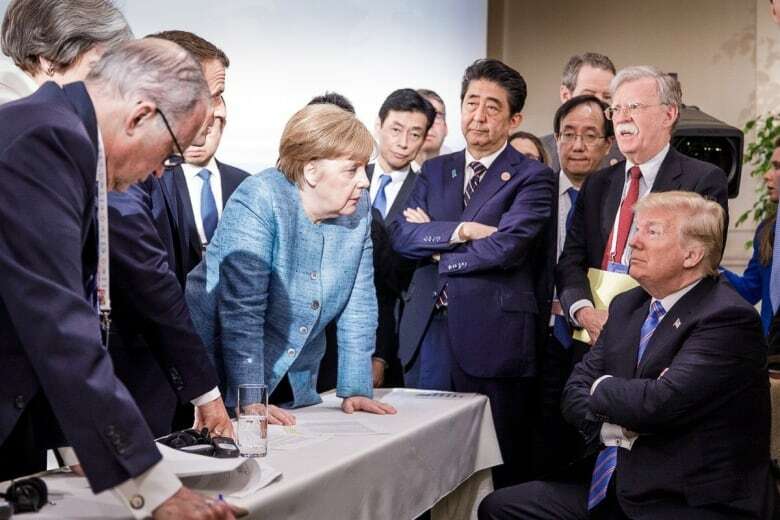 Sure, we know all about America First, Rust Belt jobs and Canadian dairy supply management, but certainly, even U.S. President Donald Trump knows how much trade has helped to make Americans rich, many Canadians say to themselves. The country's prosperity is so undeniable that it's easy, reasonable even, for Canadians to brush off Trump's anti-trade jeremiads as equal parts bluster, negotiating tactics and base-galvanizing political rhetoric. Even with trade barriers now going up between U.S. and China, it remains hard to imagine that Trump would blow up the global trading system given how much U.S. workers would suffer, right? The national security reasoning the Trump administration initially used to justify steel and aluminum tariffs was widely seen as a pretext that allowed the White House to bypass Congress and use executive power to regulate trade and charge unilaterally down the path of protectionism. Even more troubling for Canada's economic fortunes, though, would be if that justification were sincere. In that light, Trump's reliance on Peter Navarro, an economist best known for his radical views on China, as one of his top trade advisers is an ominous sign. 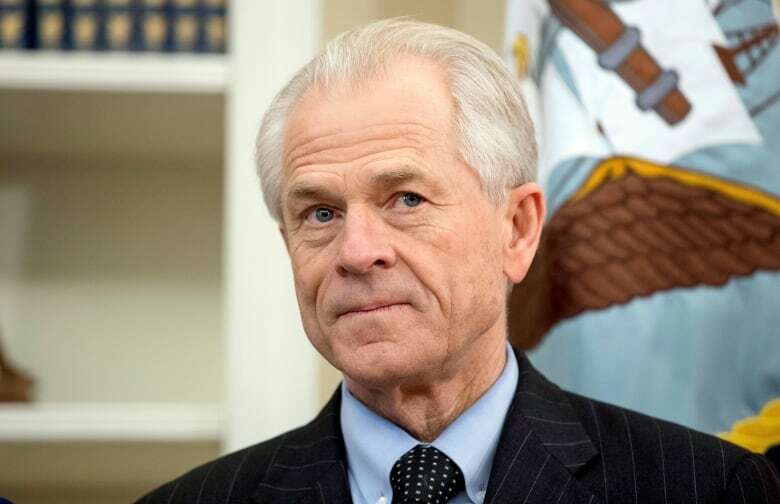 As much as it strains credulity that Navarro's theories on the dangers of China's economic rise could play a role in reshaping the global economic order, that becomes more likely with every step down the slippery slope of trade protectionism. That's in part because Navarro is one of the few economic advisers who supports the protectionist trade policies Trump and his commerce secretary, Wilbur Ross, are advocating, says Dan Ciuriak, a former deputy chief economist in Canada's Department of Foreign Affairs and now the head of his own consulting firm. "There's not a single trade economist who agrees that what they're saying even makes sense, apart from Peter Navarro," Ciuriak said. A professor at the University of California, Irvine, the 68-year-old, Harvard-educated Navarro wasn't always fixated on China. Early in his career, he believed in free trade and ran for mayor of San Diego as a Democrat. But once his gaze turned to China around a decade ago, he found his "muse," as the New Yorker magazine once dubbed Navarro himself in relation to Trump. His three books on the subject paint a dark picture of a world in which the U.S. and China are hurtling toward a reckoning, and not just on trade. In the trailer for the documentary version of Navarro's second book, Death by China, a talking head opines, "China is the only major nation in the world that is preparing to kill Americans." Until recently, such anti-China sentiment only existed far beyond the periphery of policy discussions. In the U.S., trade policy has often taken a back seat to foreign policy. When viewed through Navarro's theories, moves such as saddling Canada and the European Union with auto tariffs, pulling out of NAFTA and the World Trade Organization, as Trump has threatened to do in the past, and opening up a trade war with China start to make sense. Similarly, a president who sees China as a menace lurking around every corner wouldn't want the U.S. to rely on any foreign country for its economic or military needs. Economists see steel and aluminum tariffs as a tax on U.S. consumers that makes everything from beer cans to F-150s more expensive, but when imports are seen as a national security threat, that cost appears necessary in order to allow the industrial capabilities thought to be critical to the country's defence to be repatriated. "If you think in those terms, then Trump putting tariffs on production inputs makes sense, because you're forcing the supply chain to come back inside the U.S. borders," said Ciuriak. "What they're doing is breaking up the U.S. corporations' integration into global supply chains." The blueprint for Trump's retreat into Fortress America is becoming more visible. Following through on his threats to hit China with $500 billion in tariffs would effectively erect a trade wall across the Pacific. Auto tariffs would do the same across the Atlantic while abandoning NAFTA would sever economic ties with the rest of North America. 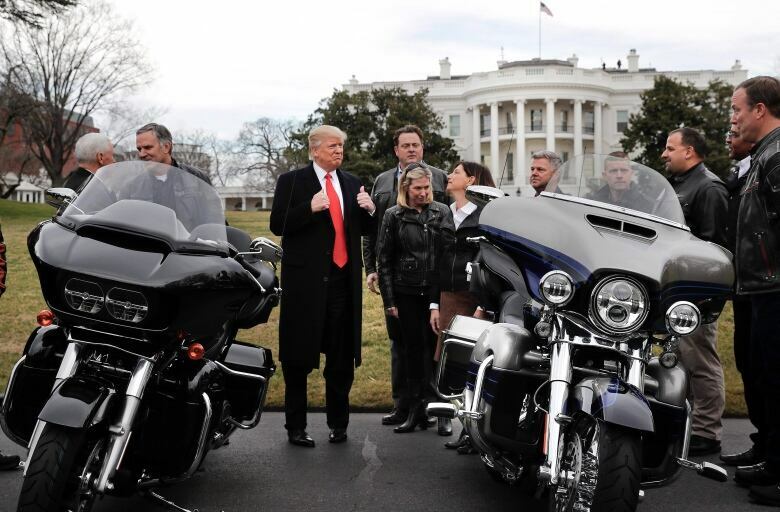 If the Trump administration keeps traveling this road, overseas markets are likely to dry up, and U.S. exporters will be the ones to take the early hits, as the case of Harley Davidson moving some of its production offshore has already shown. Big U.S. multinational companies are also likely to suffer. Apple, for one, must already be shuddering at the thought of losing access to China, the world's biggest smartphone market. An attempt to reshape the U.S. economy would run the risk of undoing the benefits of trade. That could result in a lower standard of living for Americans and potentially for Canadians, as well, given the integrated nature of our economies. "Maybe if you're willing to stick it out, it's doable over the very long term, but the medium term is miserable," said Jacqueline Best, a political economist at the University of Ottawa. "The medium term is full of job losses and dislocation." If Trump chooses to go full Navarro, he'll need to convince voters that the economic pain is worth it. The current strength of the U.S. economy could help him pull that off. A domestic market of 325 million people also makes an isolationist economic policy a more viable option than it would be for smaller nations. Trade just isn't as important to the U.S. as it is to most other countries. Exports account for only 12 per cent of U.S. gross domestic product compared to 31 per cent for Canada, according to World Bank data. Imports, similarly, comprise 15 per cent of U.S. GDP versus 33 per cent for Canada. The White House may well veer off its current course, but if it doesn't, Canada may need to work with other countries to blunt the damage. 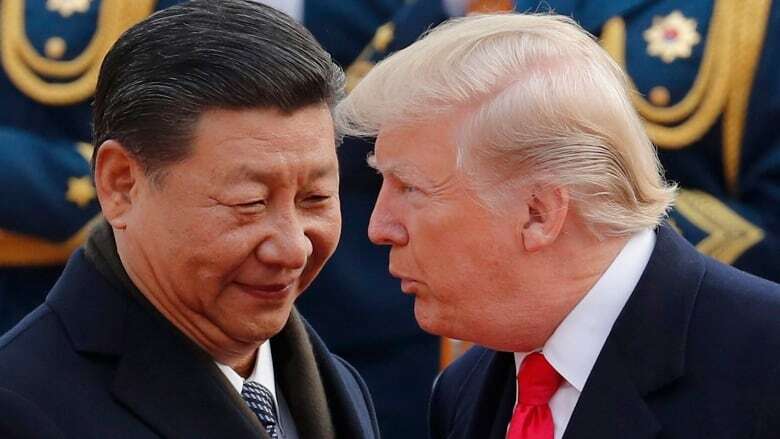 That strategy is already taking shape in the form of multilateral trade deals and a co-ordinated effort to hit vulnerable Republican congressional districts with retaliatory tariffs. Congress, which has the constitutional right to regulate trade, could potentially reclaim the trade file from the White House if November's midterm elections spur a renewed appetite to muster the veto-proof majority that is required to overturn the tariffs or revoke Trump's executive power to impose them. If that doesn't happen — and most analysts see the Congressional override option as unlikely — the international community will be left to reinvent a global trade order that's not anchored by the U.S. Beyond economic considerations, an increase in U.S. protectionism also puts into sharper relief the so-called trade-peace theory, a time-tested idea that says countries that trade together don't go to war. "One can hope the auto tariffs don't materialize, the steel tariffs are short term, that NAFTA gets back on its feet," said Best. "People have been hoping for the best for a long time, and it's pretty obvious now that was wishful thinking. If everyone is in a major recession or depression and we're fighting wars, is anyone winning?" 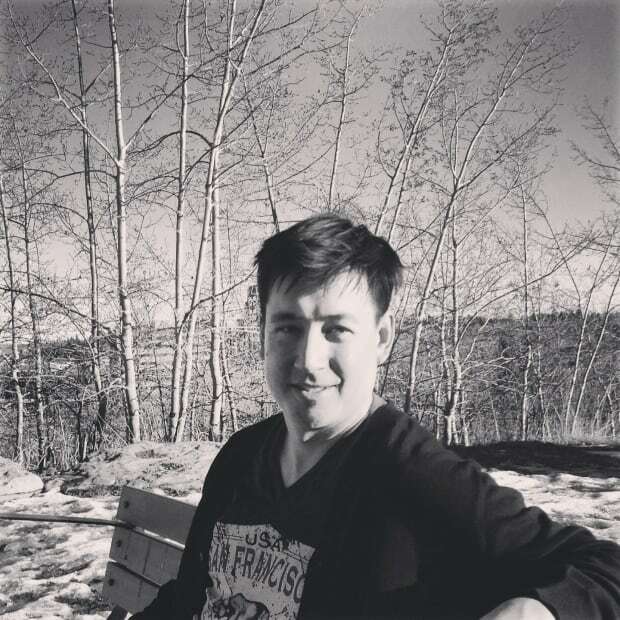 Paul Haavardsrud writes for CBC's western business desk in Calgary. He is also a producer on CBC Radio’s national business desk where he talks about business on Radio One in the afternoons. Prior to that he worked for newspapers. On Twitter, he’s @paulhaavardsrud.